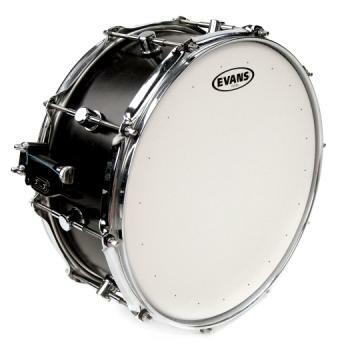 A double-ply head with overtone control ring that is instantly both contemporary and retro. Tune it loose to evoke Abbey Road tube mikes or 1970s Memphis. Crank it up and it sparkles with an exquisite mixture of overtones. Great for studio, the GENERA HD DRY has the necessary crack live to wedge through overdriven guitars and keyboards. Those tiny dry vents and narrow overtone control ring go to work at any tuning. The stick feels plain good when you smack this one hard!